An Isolated Incident begins like many other crime novels with the gruesome discovery of a body. The victim is 25-year-old Bella Michaels and the brutal murder shocks her small town of Strathdee. However, it is clear from the first paragraph that this is a novel that wants to go boldly in a different direction from the norm. In this book, detective work takes a backseat and instead we experience murder through the eyes of those left behind. As the story develops, the book prompts the reader to think about society’s fascination with the murder of beautiful young women. (At one stage the author even confronts the reader directly for reading the book!) It shamefully points out our endless obsession with the details of the crime and the personal lives of those involved. It highlights our desperate need for closure in the form of justice when for family and friends there never truly is closure. 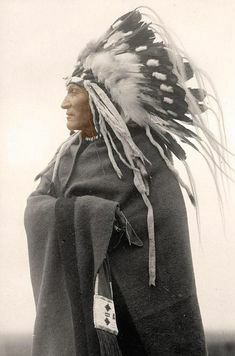 In all the chaos and dark excitement, we often forget the harsh reality that a loved one has been snatched away and their absence will be forever felt and tainted by the thoughts of their suffering. This is the chief strength of An Isolated Incident and it is what sets it apart from the competition. While many great novels sweep us away in the exciting investigation process and the trials and tribulation of detective work, Emily Maguire strips away this macabre romanticism of the murder mystery and hits the reader hard with real life realities. From the moment I picked up An Isolated Incident, I couldn’t put it down. I brought it everywhere with me and read it any spare moment that I got. It has been a long while since I have had that unputdownable feeling. In a way this kind of proved the author’s point as I wanted closure, I wanted to know more and I couldn’t look away from the drama. 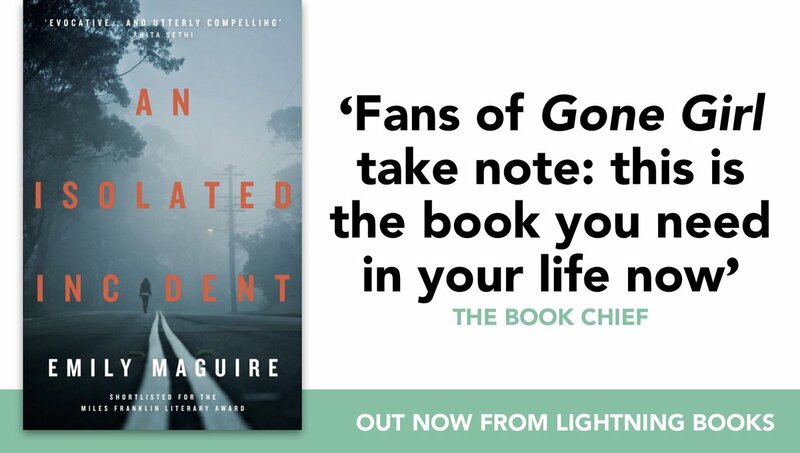 Fans of Gillian Flynn’s Sharp Objects and Gone Girl take note, this is the book that you need in your life right now. As for me, I am now very determined to read some of Maguire’s earlier work. This is an author of notable talent willing to take stories in a new direction and sometimes that can be hard to find. This is a novel that comes from independent publishers Eye & Lightning Press, so you might have to work a little bit harder to get a copy. The book is available on all major online retailers, to buy the book for Kindle click here or to buy direct from the publisher you can visit their website where An Isolated Incident is currently their Book Of The Month. Critics love this book also. In Australia it was shortlisted for the Miles Franklin Literary Award, the Stella Prize and the Ned Kelly Prize for Best Crime Novel! I don’t normally read crime fiction. It’s not because I don’t like it, I love a good story no matter what the genre is. It’s because I have an addictive personality and many crime fiction books come in series. If I read one Jack Reacher novel, I’d have to read all 29 of them and I can’t handle that amount of volume being added to my TBR list! For the record, Jo Nesbo’s Detective Harry Hole series and Arnaldur Indridason’s Inspector Erlendur series are my two favourites. Nesbo writes gripping tales that motor along nicely while Indridason’s novels are incredibly bleak but engaging to read. 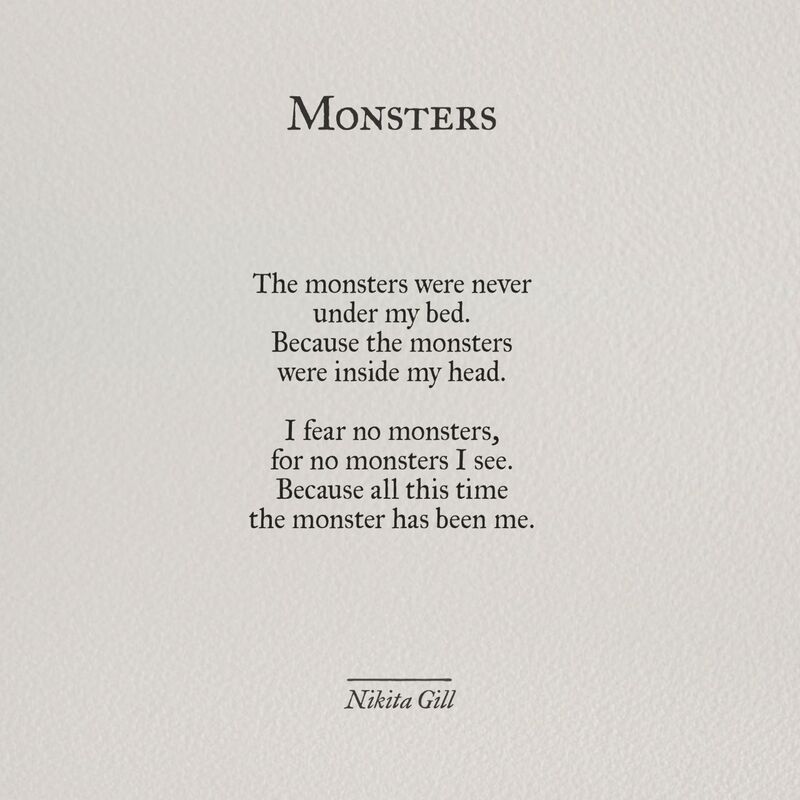 The final quote of this book regarding monsters is incredibly powerful and reminded me of this short poem by Nikita Gill. Fabulous review. Sounds good. I had some trouble with Gone Girl’s unreliable narrator trickery, but An Isolated Incident sounds good. Interesting that she calls out the reader in a direct address for romanticizing young female murder victims, while the author is doing just that. Another bit of unreliable narrator sleight-of-hand? In the author’s defence I wouldn’t say that she romanticizes the murder herself, but as readers our natural instinct and curiosity make us romantasize the material that we are given. Twice I counted the author directly addressing the reader through the characters dialogue and both times it jolts you just like when an actor addresses the camera directly. I really enjoyed the way this one was written. A lot of crime/thriller are based on finding out who the bad guy is and how they did it. This one let that slowly simmer into the back to the point that I didn’t think we were ever going to find out (and actually that would have been fine). This really is about the hole that the person leaves and how it can never heal, and the impact a crime makes on people even on the periphery. If you liked this and want something similar yet a little bit more artsy, I can’t recommend Reservoir 13 highly enough.